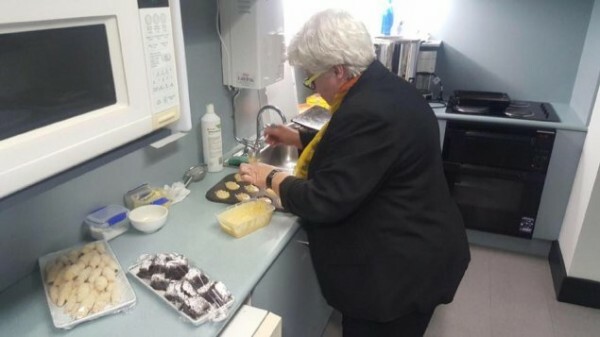 Speaker of the ACT Legislative Assembly Vicki Dunne has embraced the spirit of Australia’s Biggest Morning Tea, cooking up a batch of madeleines in her office kitchen to share with colleagues and visitor ACT Cancer Council President Christine Brill, and raising $183 for cancer research, prevention and support service programs in the process. 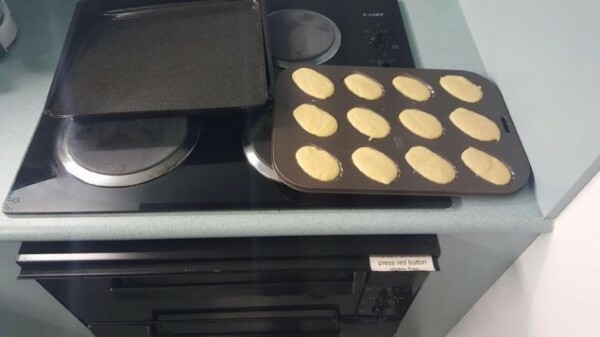 Ms Dunne has kindly shared the recipe and some tips for cooking the madeleines (see below). 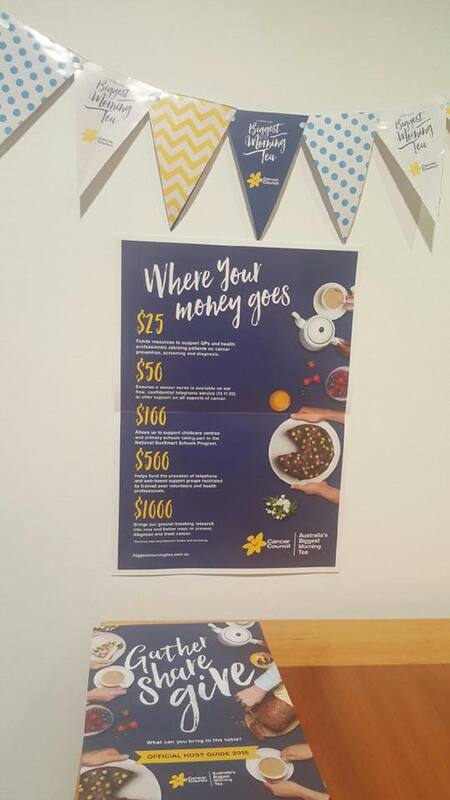 The official date for the Cancer Council-run Australia’s Biggest Morning Tea is today, though according to the charity’s website, you can host a tea anytime in May or June. So far, 25,626 people have registered to host a charity tea, which is nearly 10,000 fewer than organisers had hoped. Ms Dunne said was terrific to have Christine Brill at her event to talk about the importance of cancer fundraising. 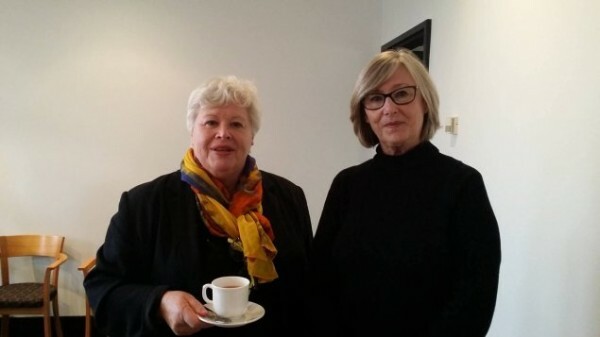 “Money raised for the Cancer Council goes to cancer prevention and screening services as well as longer term research to diagnose and treat cancer,” the Speaker said. These are a great treat. 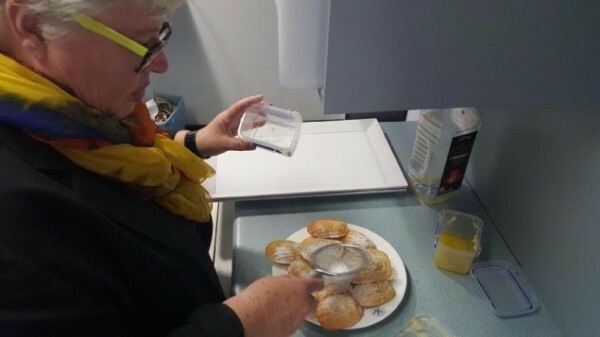 You can prepare the batter hours ahead of time and then just pop them in the oven when your guests are due to arrive as they only take ten minutes to bake. You must have a madeleine mold to get the beautiful scalloped shape. You must use a lot of butter to grease the mold or they will stick and ruin the beautiful shape. Sift the flour, baking powder and sugar into a bowl. In a separate bowl, whisk the egg with the milk. Pour this into the flour mixture and whisk until combined, then add the vanilla seeds and whisk again. Gradually pour in the browned butter and whisk well, then whisk in the lemon zest. Allow the mixture to rest for 1–2 hours in the refrigerator.